Hey there everyone! How are you all? Today I have taken the theme and stretched it a bit. I am going back five years and recreating a mani I posted 5 years ago. 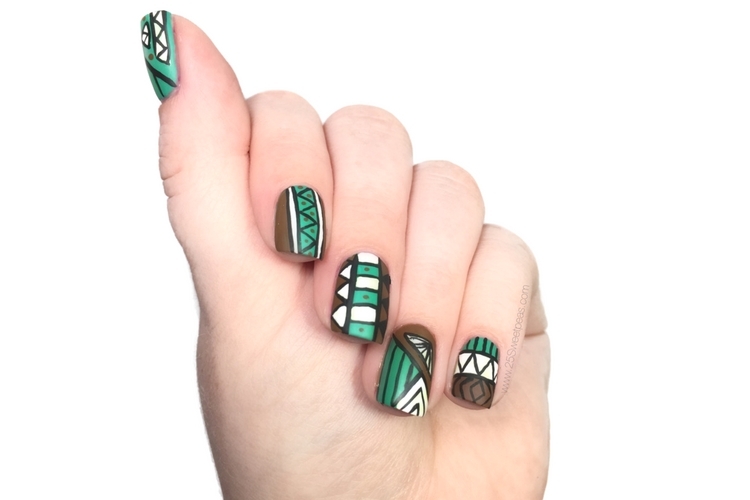 Which if you read yesterdays post you would know that 5 years ago was when I started my nail Instagram, so this was a majorly early nail art and I didn't know what I was doing and my blog wasn't even a thought. So this mani can be originally seen here! Ekkk so many things wrong with that photo but hey it shows growth! :) Funny thing is that when I originally did it the base color bleed into the white and I used the SAME nail polish this time so it would be accurate and guess what? It bleed again which means I should probably just discard this polish! Lol, I honestly don't think I've used it since that first post. 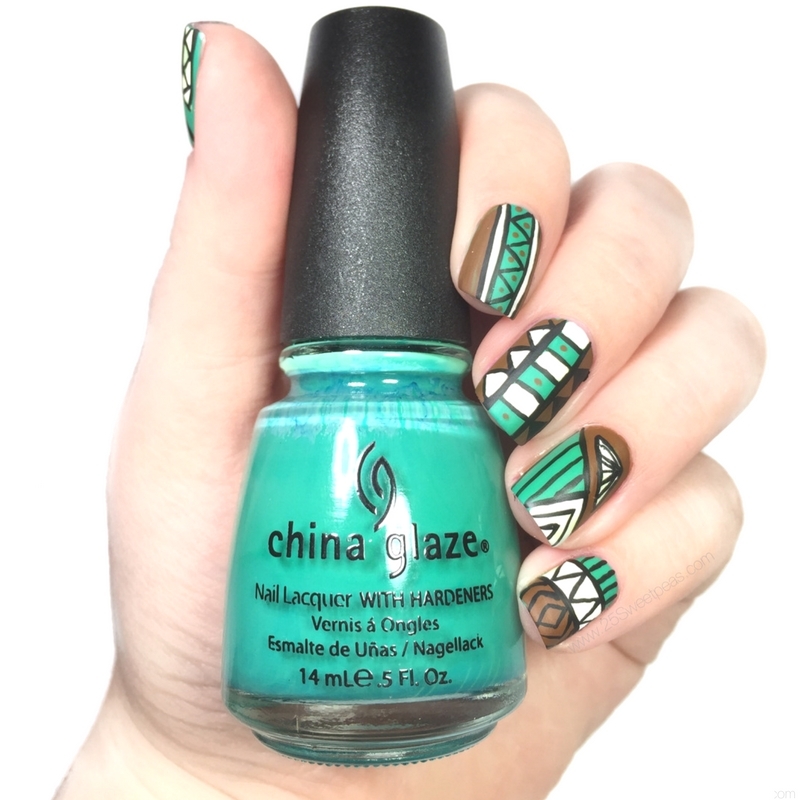 Its China Glaze Four Leaf Clover. It was nice but I hate the fact it changes white thats on top. The white was quickly changed to a weird yellow/green. Literally I had to be super quick and get the pics before it was bad. I think you can see on my ring finger that the triangle part is turning in that photo. It was nice to do this design again and see improvement tho! Well that is it for today! Hope you are staying safe, and I will see you all back here tomorrow! This post was written September 7th. I love your interpretation! :) I love seeing old manis and how far we all come. <3 This is great! It is always neat to see isn't it! That is true! It might work for a marble! You, are now the queen of marble you know that right?!? Ha, I still can't get over those! It's always fun to recreate old looks and see your progress! I have that same problem with Four Leaf Clover bleeding! It's such a lovely green, but it's so hard to work with in nail art. These nails still look awesome though!